Sennheiser MOMENTUM Free features Bluetooth 4.2 as well as Qualcomm apt-X and AAC codec support. 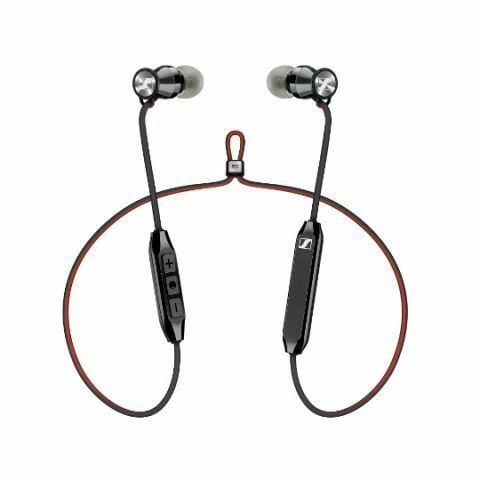 German audio brand Sennheiser has added a new member to its acclaimed "MOMENTUM" headphone family with the launch of a new wireless model in India for Rs 14,990. The new ear-canal device launched on Tuesday features ergonomically-designed magnetic earpieces that link together when not in use. "This is an ideal set of headphones who are always on the move and strive for something new," Kapil Gulati, Director, Consumer Segment, Sennheiser India, said in a statement. The headphones come with high-quality dynamic speaker system and stainless steel in-ear sound tunnels that deliver acoustic precision with powerful bass response and detailed vocal projection, the company claimed. "MOMENTUM Free" features Bluetooth 4.2 as well as Qualcomm "apt-X" and AAC codec support. Qualcomm "apt-X" audio enables CD-like quality wireless audio as it solves the problem of sending the full music bandwidth over Bluetooth and its low latency compatibility also enhances the ability to enjoy gaming or video content. The device has a three-button remote and in-line microphone for making calls and controlling music which are integrated into the cable between the earpieces. Multi-connection with up to two devices at once and 3-way calling support are also provided.Click here to buy.